We know the story: You really, really love Star Wars but for some reason slept on getting those tickets and now all the showings are sold out for the foreseeable future (i.e. the next day or so). What's a true fan to do? Well, get yourself in the Jedi state of mind by visiting these Bay Area Star Wars spots, of course. This one is an absolute no-brainer. While not exactly the shooting location for the forest planet Endor in Star Wars: Episode VI Return of The Jedi (that was actually Redwood National Park further up the coast), the gorgeous redwood trees and forest of Muir Woods will put you right in that Ewok state of mind. But plan ahead, as Muir Woods now requires that you make reservations in advance. You know that George Lucas's company Lucasfilm is based right here in San Francisco, right? 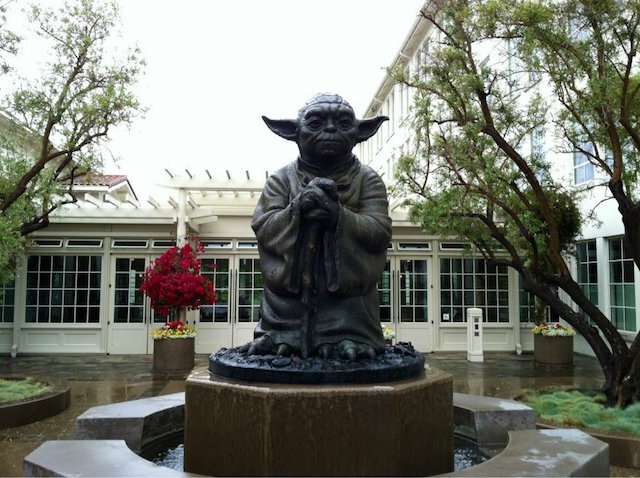 Their headquarters is located in the Presidio, and as the company is responsible for the Star Wars films, there is a special tribute outside their offices — this giant Yoda fountain. 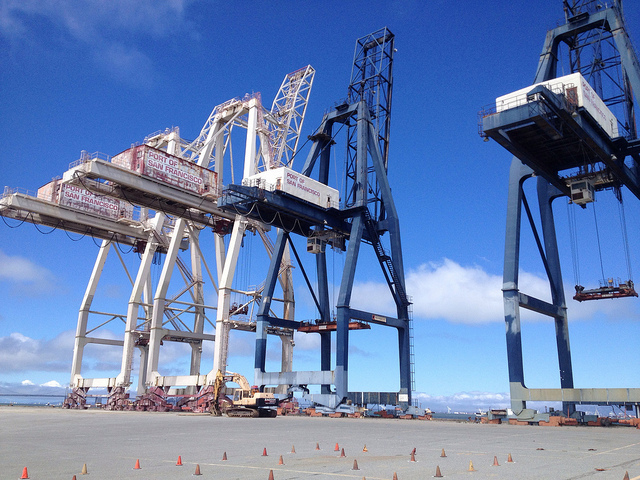 Despite George Lucas frequent protestations that the Port of Oakland cranes were not the inspiration for the AT-AT Walkers featured in Star Wars Episode V The Empire Strikes Back, there is an uncanny resemblances that is impossible to deny. The best viewing spot (other than by air or by sea) is probably Middle Harbor Shoreline Park. 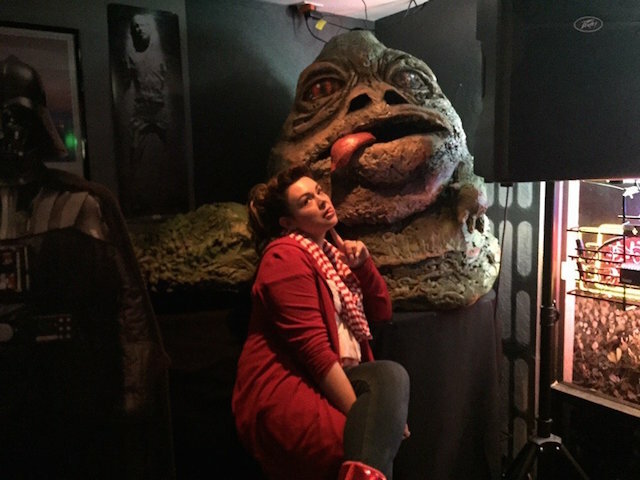 After you've hiked both Muir Woods and through Middle Harbor Shoreline Park you'll probably be pretty hungry, so head to the proudly Star Wars themed bar Seven Stars Bar & Grill. It's located in San Jose, which makes it a bit of a trek from the other spots on the list, but the place is full of Star Wars memorabilia and it serves a specialty Light Saber cocktail ("3-Olives Grape Vodka, Blue Curacao, Lemon Juice and a splash of Rock Star"). Head to class with the San Francisco Golden Gate Knights, and really channel that inner Jedi. 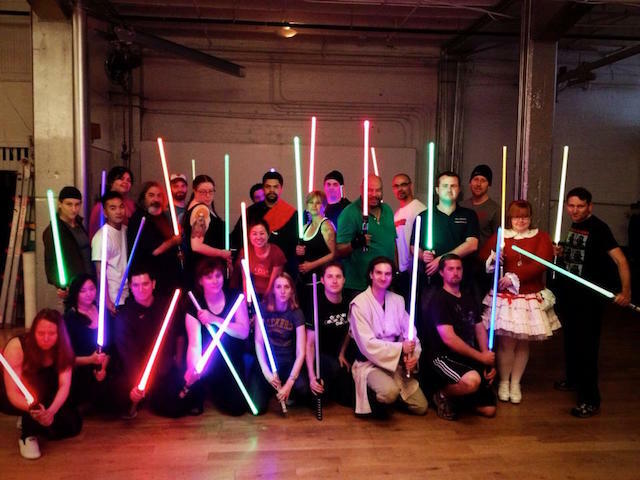 The group meets every Sunday from 12 p.m. to 3 p.m. (and yes, they have class this Sunday), and gives participants the opportunity to "become an expert at saber choreography, spins, flourishes and a whole lot more." The Knights hold their training classes in SoMa at 19 Heron Street, and at $10 it's a definite bargain. If you're going for atmosphere over sheer size, you can't beat the recently opened Alamo Drafthouse on Mission Street. The opening show at the Drafthouse was The Force Awakens, so you know that the place will be full of fans. Also, with their insistence on kicking out movie goers who talk or use their phones during the film, you'll actually get to hear the dialogue on screen as opposed to the dude next to you chatting it up. Alamo Drafthouse, 2550 Mission between 21st and 22nd Streets.